How to watch Zumbo's Just Desserts: Season 1 (2016) on Netflix Egypt! Sorry, Zumbo's Just Desserts: Season 1 is not available on Egyptian Netflix, but you can unlock it right now in Egypt and start watching! With a few simple steps you can change your Netflix region to a country like Thailand and start watching Thai Netflix, which includes Zumbo's Just Desserts: Season 1. We'll keep checking Netflix Egypt for Zumbo's Just Desserts: Season 1, and this page will be updated with any changes. 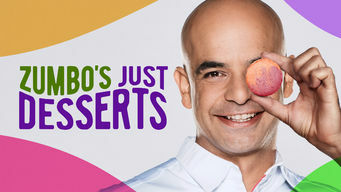 Zumbo's Just Desserts: Season 1 is not available in Egypt BUT it can be unlocked and viewed! Dessert wizard Adriano Zumbo looks for the next “Willy Wonka” in this tense competition that finds skilled amateurs competing for a $100,000 prize. The clock is ticking for these talented home cooks, and it's time to create a masterpiece ... again. No pressure! Season 1 of Zumbo's Just Desserts has 12 episodes. Because different Netflix countries have different availability for episodes, you'll need to check the episode listing below to see which are available in Egypt. A dozen home cooks hit the kitchen to show Zumbo and chef Rachel Khoo who they are as dessert makers. Later, two take on a futuristic Zumbo Test. The amateur cooks confront a monster of a challenge before two of them are tasked with bringing a "Franken-Zumbo" to life. 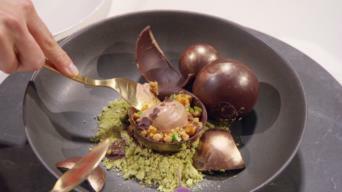 After taking on a chocolate-themed challenge, two contestants face off in a punishing Zumbo Test involving 100 handmade profiteroles. Kids flood into the Dessert Factory to weigh in on a festive challenge -- and help decide which two contestants will have to re-create an edible desk. A gravity-defying brief yields a flying fruit flan and a perfectly balanced peppermint mocha gateau. But the test that follows is pure imagination. Dessert makers turn traditional Arnott’s biscuits into something altogether different before a Zumbo Test challenges them to bake a six-item sampler. When the smoke clears after a fire-inspired challenge, two cooks must build an ice cream igloo that's encased in a lime Swiss merengue. Traditional Aussie treats get a modern makeover before a beach-inspired Zumbo Test that puts a fresh twist on the frozen Frosty Fruit. After a colorful challenge that prompts them to pair unexpected flavors, two contenders who fail to impress face a test named after Zumbo's mother. With a Golden Ticket to the Grand Final up for grabs, the contestants prepare an elaborate high tea and turn up the heat in a bubbling Zumbo Test. The home cooks battle it out to build towering structures and complete a terrifyingly tiny Zumbo Test, with the winner going on to the Grand Final. The dessert makers dive right into a Zumbo Test before tackling their final Sweet Sensations task: a fairy tale-inspired showstopper.